Provide comfort for the family of Marjorie Meche with a meaningful gesture of sympathy. A Mass of Christian Burial will be held on Monday, February 11, 2019 at 11:00 A.M. at Our Mother of Mercy Catholic Church in church Point for Marjorie LaDay Meche, 87, who passed away on Tuesday, February 5, 2019 at 11:03 A.M. at Acadia St. Landry Hospital in Church Point. Rev. Emmanuel Awe, SSJ, Pastor of Our Mother of Mercy Catholic Church will be officiating for the services. Fr. Justin Arockiasamy, SVD will be the Co-Celebrant for the services. Burial will be held in Our Mother of Mercy Catholic Church New Cemetery in Church Point. The family has requested the visitation to be held on Monday, February 11, 2019 at 8:00 A.M. until time of services all at Our Mother of Mercy Catholic Church in Church Point. Survivors include four daughters, Barbara Chachere of Houston, TX, Antoinette and husband, Mervin Williams, Jr. of Spring, TX., Vanessa and husband, Lee Richard of Lawtell, Janie Guilbeau of Sunset; one son, Bernard Meche of Mire; one sister, Marjorie Nell Broussard of Fairfield, CA; three brothers, Joseph LaDay of Opelousas, Aaron LaDay of Sacramento, CA and Bert LaDay of Church Point; 18 grandchildren; 41 great-grandchildren and 6 great-great grandchildren. 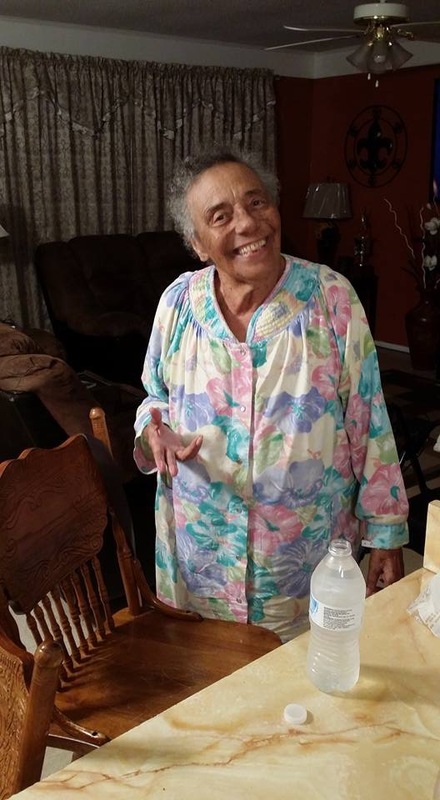 Ms. Marjorie was preceded in death by one daughter, Priscilla Chavis; one son, Roderick Meche; one son-in-law, Daniel Guilbeau, Sr.; her parents, Leon and Viola Duplechain LaDay; one Brother, Martin LaDay. 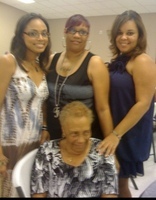 You may view the obituary, sign the guest registry and express condolences online to Ms. Meche’s family at www.duhonfuneralhome.com. 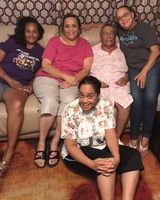 Our Mother of Mercy Catholic Church "Church Point"
Dear Meche Family, I am deeply sorry for the loss of your loving and beautiful Mother and Grandmother, Marjorie. Speaking from experience I know nothing can replace the love of a mother therefore, there are no words sufficient to describe the pain you are feeling now. So, in time may the marvelous promises found in God's Word at (John 6:40; 11:25; Psalms 37:29) give you a measure of comfort and peace and the assurance of seeing your mother again in the future promised Paradise, on earth.